The main message of my poster is that Palestinian rights matter and the occupation needs to end. I used a simple gradient background to not take away from the words and image. I used a picture showing how Israel had occupied Palestine more and more every year. First i tried making a poster on a different topic but i didn't have any ideas for that so i switched to the middle east. I had tried other images before i found the one i got. I think the most successful part of my poster was not overcomplicating it so the parts I used stood out well. One thing I liked about the poster was that it wasn't over complicated and it addressed an important issue. one thing i didn't like was that the font didn't match the issue and there wasn't enough text. I made this because i really like listening to music. i made this by cutting these pictures out of other images i got from the internet. 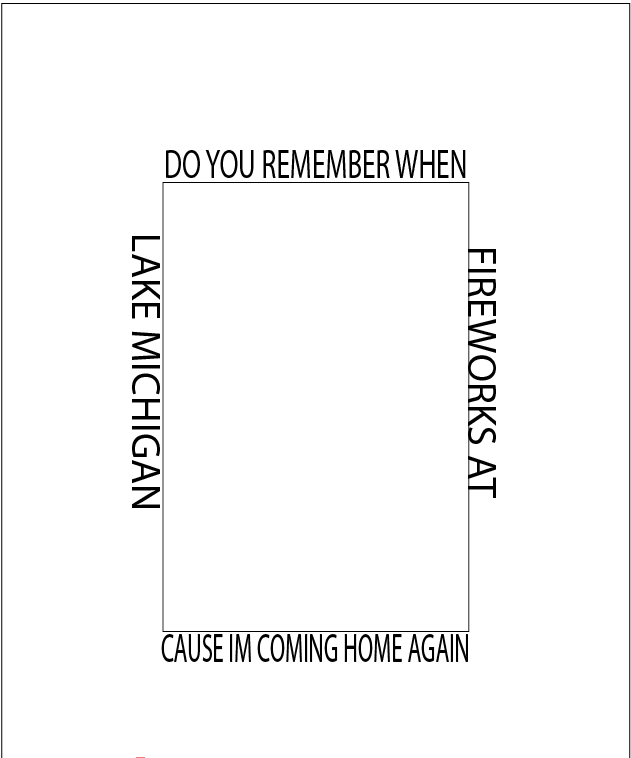 the original idea was to make a collage type thing with four album covers, but they didn't have enough detail in black and white. Below: the tri-colored design in illustrator. 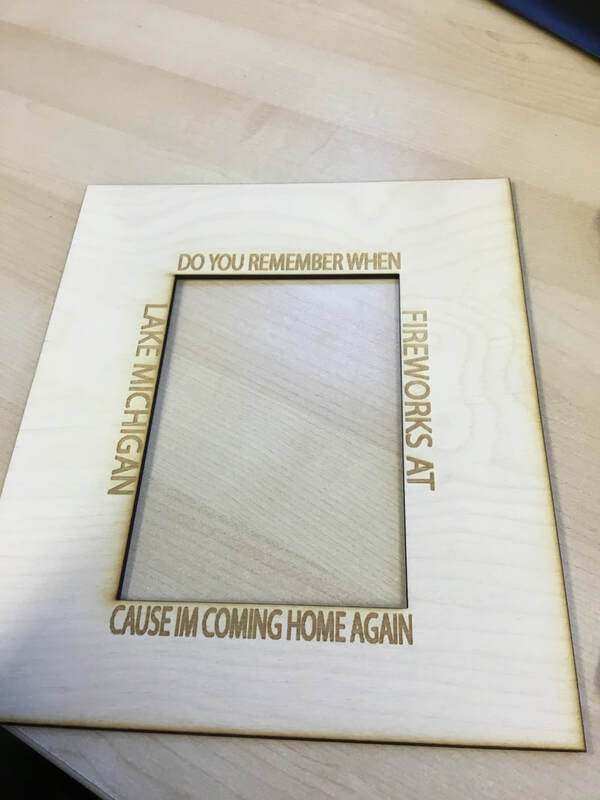 ​I learned the laser cutter cam see three colors so you can make it do three different things in one project. 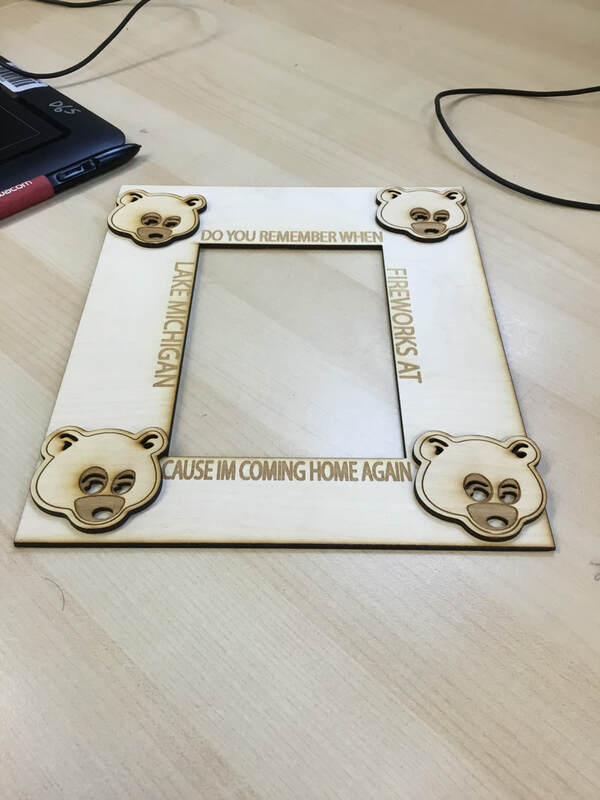 i used that so the bear got cut, engraved and rastered. 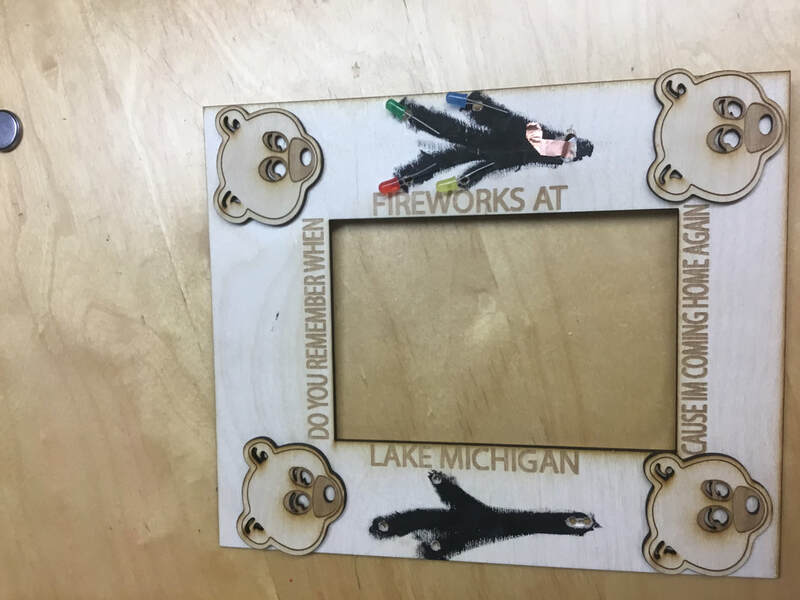 while it was printing i designed a frame for the bear to go on. 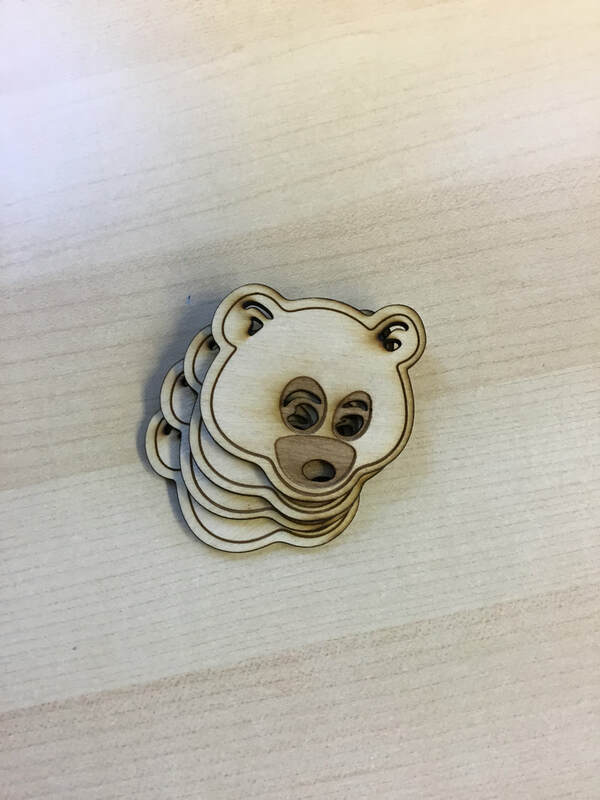 the bear printed to big and the stroke was set to one so it ran over the lines multiple times so it burns things out to much. 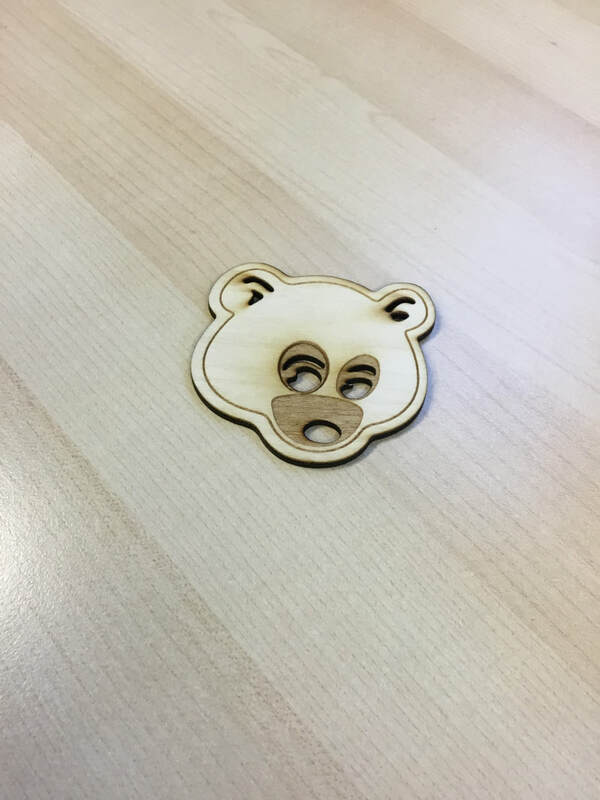 Above: the first print of the dropout bear. Below: the fame with part of the circuit for the "fireworks" taped on. 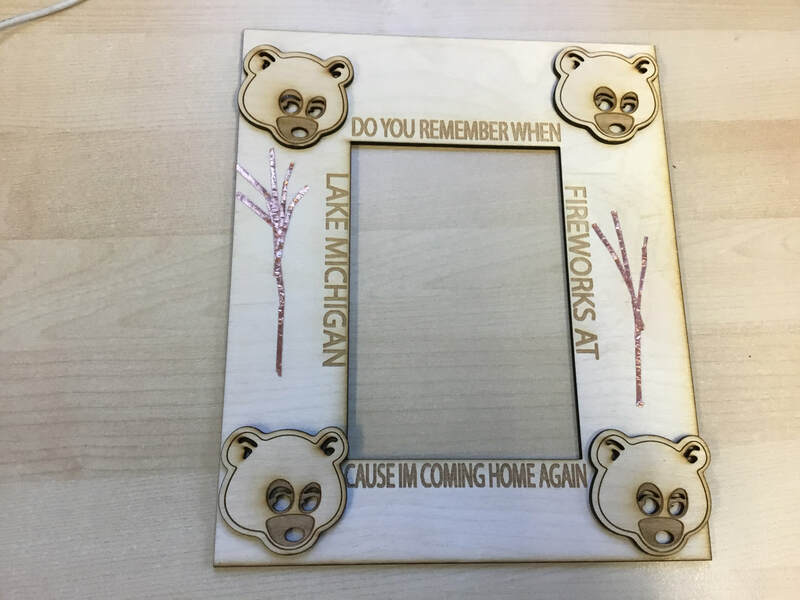 I had the idea to put "fireworks" on the side because the frame looked kind of boring. My idea was to use copper tape and conductive paint to make chibi led lights light up. 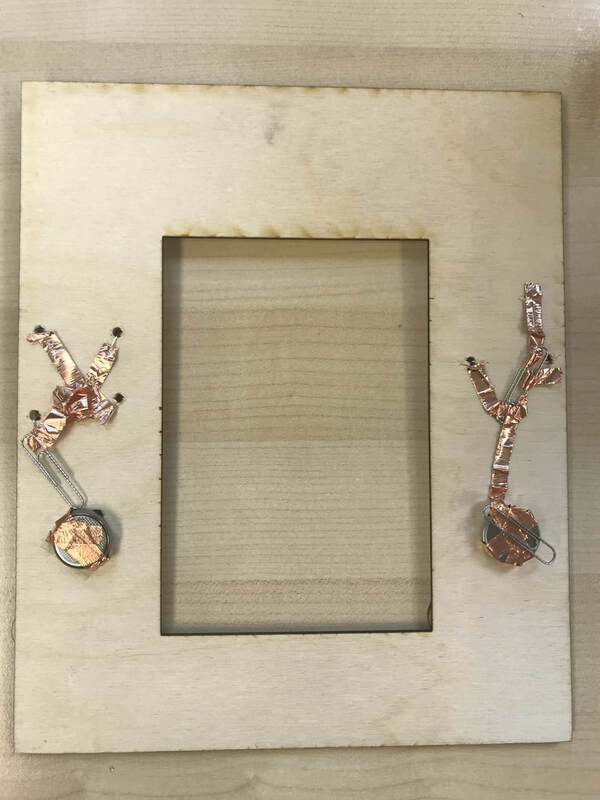 I have tried a bunch of circuit idea but none of them had worked yet.